Business owners, marketing managers, web and design agencies come to me when they want help generating enquiries and sales. I’m known for my clear and simple writing that gets important information across quickly. Most importantly I make sure your messages are understood. Your copy will be presented to you in an agency style copy deck, which will give you all the information you need to guide you through the editing process. What’s more, because everything you need is provided in one neat document, I’ve made it easy for your project stakeholders to pick up and run with your copywriting project. What are the benefits of hiring me to write your copy? My job is to promote your business by way of compelling and persuasive copy. I’m a classically trained (Chartered Institute of Marketing) marketer. I was awarded the Chartered Institute of Marketing Diploma in 1999. 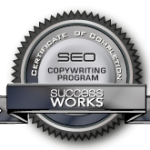 Then in January 2012 I successfully completed the industry respected Success Works SEO copywriting programme. I learnt principles of good writing and the power of clear communications from an early age. My parents were Fleet Street journalists. I would have followed my parents into the family trade as I too was good at writing. There was one problem though. I was an incredibly shy teenager. I didn’t like using the phone. Not a good trait for a budding reporter. But I’ve always been fascinated by the world of business. And after watching the film ‘Working Girl’, I decided that this was the place I wanted to be. So I started my career in a sales support, where I learned about the importance of the sales process. From here I made a natural move into marketing. Fortunately for me, the companies I worked for were big enough to have a budget. But not big enough for agencies to do all the work for them. As a result, I had the opportunity to write copy for brochures, direct mail, adverts, newsletters, PR and more. So what are the benefits of hiring me over anyone else? Work with a copywriter who knows how to find out what makes your target market tick. My experience means I know how to connect with your audience and guide it into making that all important decision to buy your products/services. Interested in copywriting services? Drop me a line. I am mainly a business-to business copywriter. My clients include business owners, marketing managers, web and design agencies. This is what they say about me. Claire Hawes has been writing Metastar’s web copy for many years now. We are extremely grateful as we found a reliable, enthusiastic individual who works hard to deliver great web copy to tight schedules and within budget. Thanks Claire! Claire has not only re-designed my website but also introduced regular blogs. I have received many compliments on both, from a content as well as an informative point of view. I would recommend Claire to anyone looking to project a clear, concise – and amusing – message to their market. 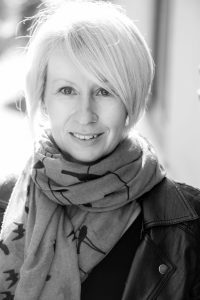 Claire is a great experienced marketer and copywriter – such an asset to have on the team as she is always professional, reliable and utterly clear in her communications. She is an expert in financial markets – but has the ability to grasp the complexities of many sectors, from engineering to education, financial services to retail and IT. A pleasure to work with. Having worked with Claire on a number projects, she was able to quickly grasp our requirements, and implemented improvements that has not only improved the way our web site looks and works, but it’s position in the rankings. Our ongoing projects are made simpler with Claire’s involvement and I would have no hesitation in recommending her work. I worked with Claire on a project to implement a new website for EAO group. This was a challenging project involving a corporate site and multiple local language versions. With Claire’s help, the project was completed on time and on budget. I have no hesitation in recommending Claire’s web copywriting services and media skills in the future.